Please read and agree to our Intellectual Property Guidelines before using these materials. Download your High Risk Hope social media materials and graphics here! 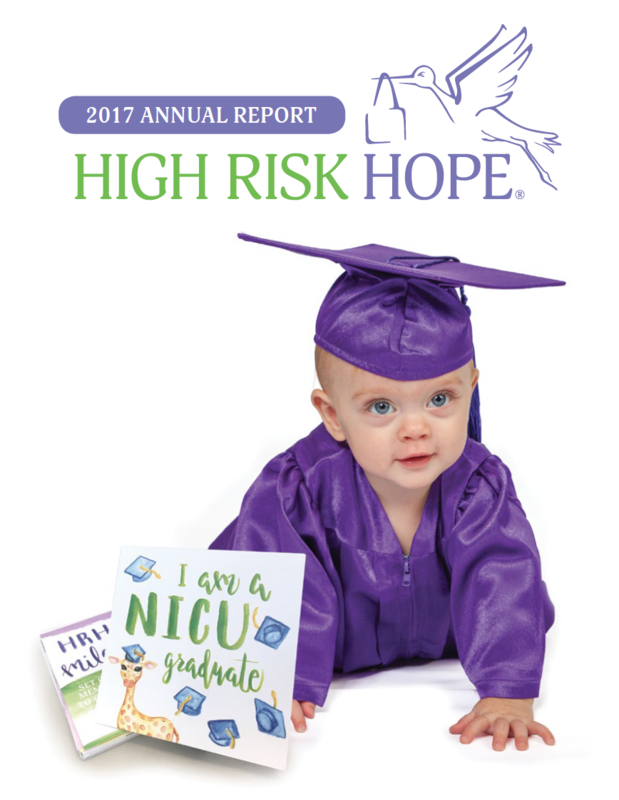 The 2018 High Risk Hope Press Kit contains our Annual Report, Newsletter, details about our Annual Tot Trot event, and a collection of helpful articles and information. The High Risk Hope Annual Report contains information about our life changing results, a review of our highlights from the past year and a peek into our financials.